Perfect size for displaying my sweets. I make chocolate strawberries and will mainly use these boxes for that. I was just preparing some Valentine's Day treats and they fit perfect ! (9 treats) looked very nice and neat in their box ! 3 angles of the box so you guys can get an idea, it's not too big or small it's perfect. My hands are medium sized, sooooo that can give you some what of an idea. Overall, shipping was great and the products came in a brown box. BPR boxes are the best! Perfect for 2-6 cookies. These boxes are perfect for some tarts I made to sell. They really take my presentation up a notch (or more!) and are sturdy enough for the tarts that I put in them. These boxes were a little time consuming to put together, but in my opinion, because of the final look, they were well worth the effort. I anticipate that I will return for more, once this batch runs low. ???? Not sure what this is? Excellent product, LOVE the free shipping. This is the 4th time I order 100 pack of this item. Still my all time favorite you guys are the best ! They are the perfect size for my cookies! Wonderful product. Ordered from Brpboxshop multiple times - always impressed with quality and service. These boxes are great! Very durable and so cute! BRP has great customer service and super fast shipping! Will continue to purchase from this company. Love their fast and prompt service plus Free shipping! Great box we use for our Chocolate Covered Strawberries. Easy to assemble and great quality! 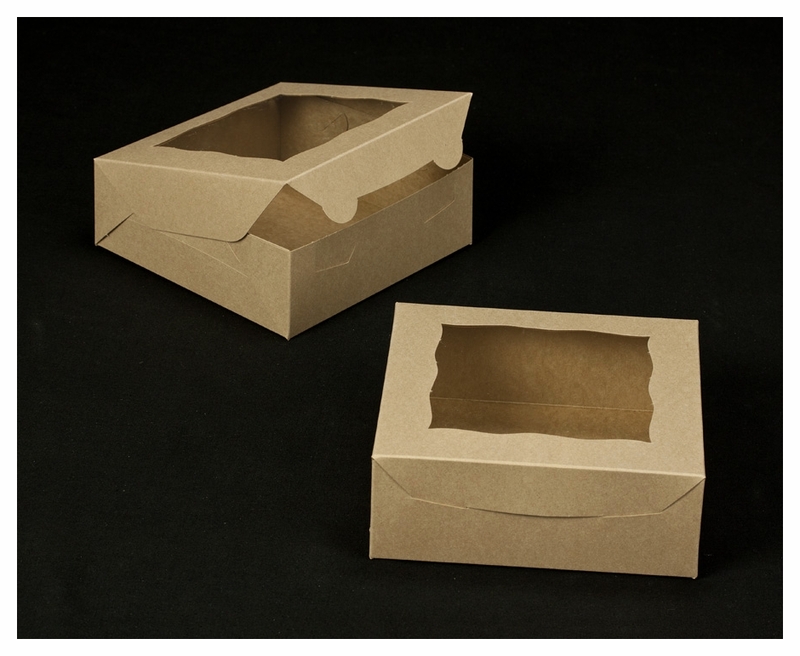 Best UsesWe use these boxes for cookies and LOVE them! Love all my boxes that I get from brp! Always have a great experience with brp! Fast shipping & awesome boxes. Loved it! My chocolate covered strawberries fit perfectly! & all my Customers loved the box they came in. They're easy to make also, no struggle. I love this box!!! It has many uses. I have used it for a dozen of strawberries (average size) and my sampler box. It's simple but elegant and very sturdy. Delivery was fast. More than I expected. Great boxes for the price! Love this size, holds around 8 cookies. I previously purchased a sample of this box before finally committing. I was worried about the size and that it was not a "time saver" box. After I assembled the box, I realized I was worried for no reason. It is great for my chocolate covered strawberries. It's construction does not take away from its presentation. The box is sturdy and the window displays the product beautifully. I did insert a cake pad to raise the strawberries up a bit. This kraft style box is wonderful for my needs. The only thing I believe would make it PERFECT would be if they offered it in a time saver version. However, I do really appreciate the price of this version and would definitely buy this product again. I don't know why I waited so long to purchase. Buy it. First of all we received our shipment quickly, and we ordered three times in two weeks, all orders were processed and received fast! Second, customer service was very helpful and efficient when I ran out of boxes and needed some overnights to us....they responded to every email and were willing to help in any way to for us to receive our boxes. 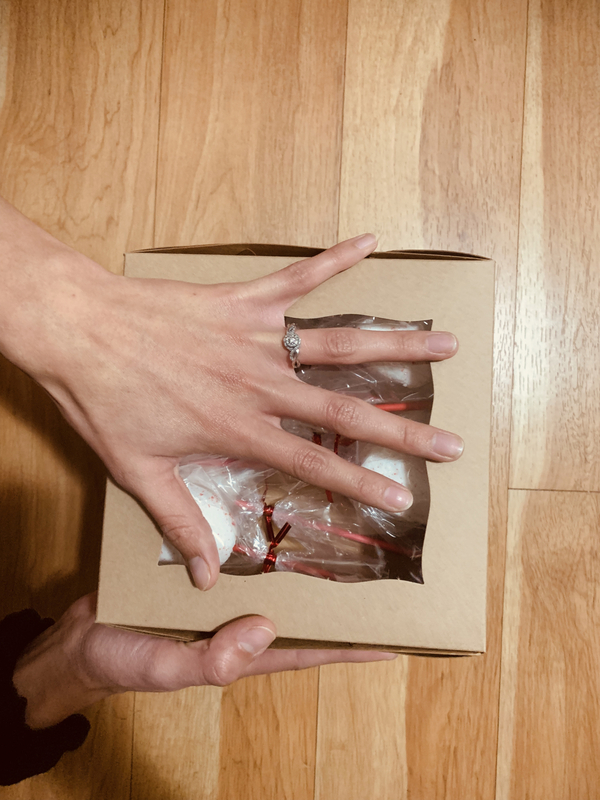 Lastly, we ordered these boxes for a fundraiser for chocolate covered strawberries, the classiness of the boxes took our product to the next level! Many customers were curious where we purchased them. 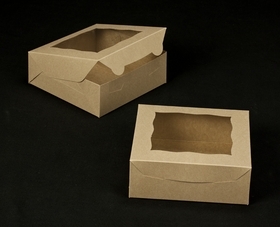 Our product looked good and I firmly believe it was because of the boxes we chose. do you have mini inserts for this box? How many regular sized muffins will this hold? Also how soon will this reach me? I live in Miami, FL. Hi Candice, We have a 4 count insert that fits this box. If you place your order before 12:00 noon central time, it would ship today and deliver 4 business days later. Let me know if you have more questions. Hi Lee Ann - If you get your order in before 12:00 noon central time (1pm your time), it would ship today and deliver Friday. If you need expedited shipping, just note that it the Comments section on the checkout page and we will email you a quote right away for you to approve before noon central time. Can you get this size box without a window? 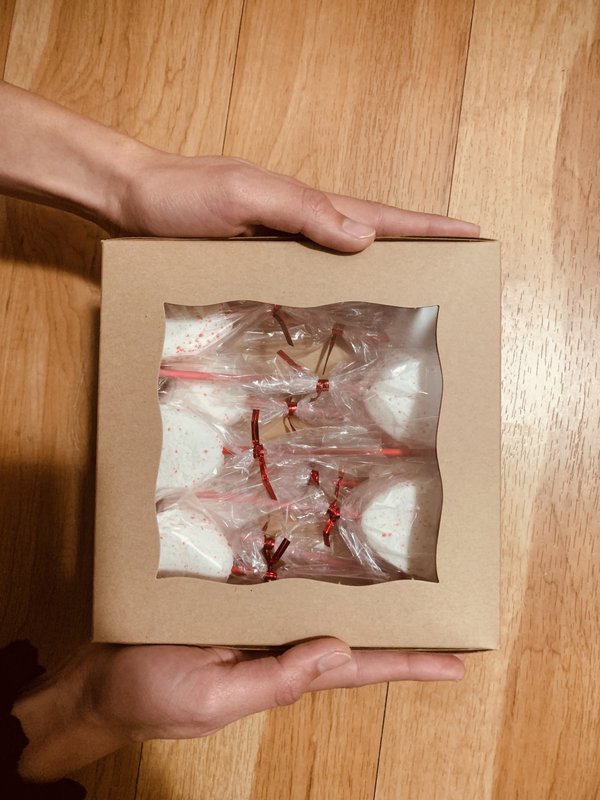 About how many cake pops will these hold? Hi Charity, This size holds about a dozen depending on the size of your pops. Hi Kevin, Yes, every windowed box we sell has clear film that protects your baked creations. Because the material is clear, it doesn't photograph well.